Your goal is simple: Increase sales for your e-commerce website by creating the best shopping experience. You have many customer experience options you can optimize. But what will get you the best return? See exactly what these 40 top e-commerce businesses did to boost sales. 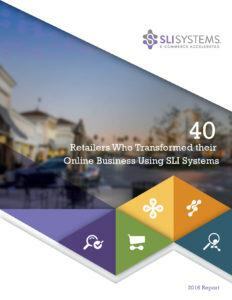 Read how these top retailers grew their e-commerce sales. Want to Increase Your E-commerce Sales?